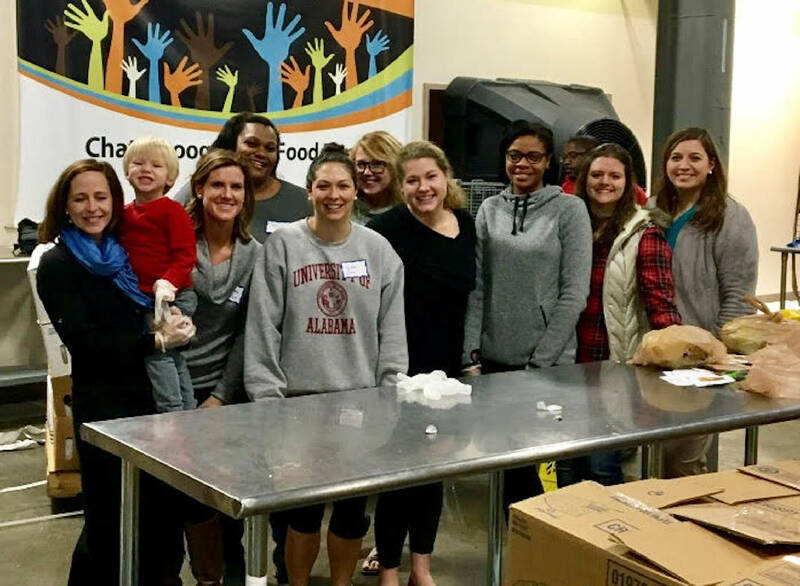 Members of the Junior League have spent the past three years giving more than 600 hours of volunteer time at the Chattanooga Area Food Bank. The Junior League of Chattanooga is bringing back its Bargain Mart for a two-day pop-up sale in celebration of the league's centennial year. This large rummage sale will be held in Ridgedale Outreach Center, 2708 E. 13th St. off Dodds Avenue. The sale will be open 8 a.m. to 4 p.m. Saturday, April 29; and 10 a.m. to 4 p.m. Sunday, April 30. For more than 60 years, the Junior League managed a thrift store, called Bargain Mart, first in a downtown location then in Highland Plaza. For this throw-back sale, donations have been made by Junior League members and sustainers. Volunteers have sorted, priced and displayed them by theme. Shoppers will find adult clothing in sizes 0 to XXL, furniture, small appliances, kitchen items, totes, art, bicycles and more. If the turn-out for the JLC's sales of previous years are any indication, shoppers will want to arrive early since a line always forms before doors open. All proceeds from this sale will benefit the Junior League Endowment Fund. Payment must be made by credit, debit or cash only; no checks. Shoppers are responsible to get their items home; no delivery service is offered.